Two years ago the only action camera on the market that was really worth while using on a HAB flight was the Go Pro Hero. Times have changed and there is now a plethora of action cameras out there to tempt balloonists. Amongst them is the Garmin VIRB XE, now in it’s second generation. Balloon News has been lucky enough to borrow the new Garmin VIRB XE to put it through it’s paces in a high altitude balloon flight, and compare it to the latest offering from Go Pro. First off the basic specifications. We have a basic table here of like for like comparisons. More technical data is available at http://shop.gopro.com/hero4/hero4-black/CHDHX-401.html for the Hero 4 Black and https://buy.garmin.com/en-GB/GB/sports-recreation/action-cameras/VIRB-xe/prod165499.html for the Garmin VIRB XE. The proof of any pudding is in the tasting. 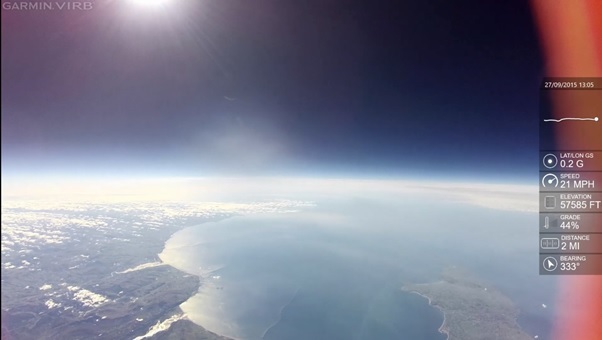 So we got a Garmin VIRB XE and a Go Pro Hero 4 Black and took them for a high altitude balloon flight. 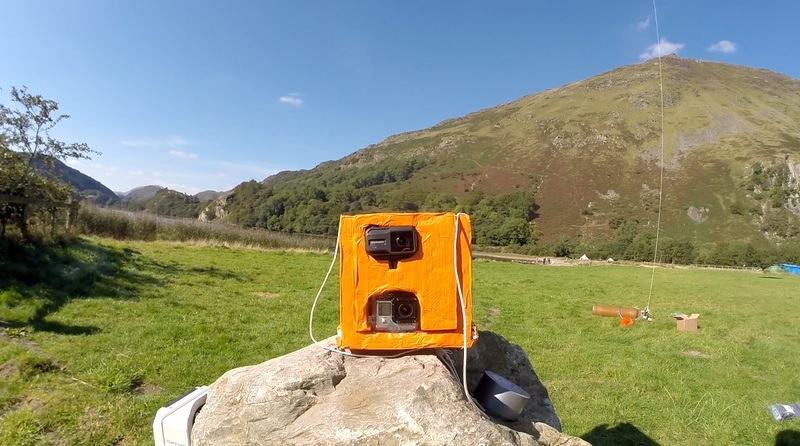 With the glorious Indian summer the UK has been having, we could think of no better place than Snowdonia, where we tested the first version of the Garmin VIRB. Both cameras were packed into the classic configuration of a polystyrene box with the VIRB on top of the Hero 4. We launched them into the stratosphere from Lyn Gwynant campsite at the base of Mt Snowdon on a clear but hazy Sunday in early October. The cameras were packed in with SPOT trackers for recovery and an I Got U GPS data logger to test the GPS output from the VIRB XE. To make the contest fair, both cameras were set at a 1080p, with the VIRB shooting at 60 fps and the Hero at its wide setting and 50 fps. For high altitude balloon flights this is the highest practical setting to maximise the amount of flight recording time considering the battery life and memory card storage. Both cameras were in their toughened cases. In the case of the Hero, the operator has to place the camera in the case. For the VIRB, the camera is fitted into it’s tough outer shell. This presents practical inconvenience as the lens cover cannot be removed. We had to secure the front camera door back with tape and insulate the front of the camera with light plastic. One key disadvantage is that the tape and camera door was visible on the far right of the image but this could be removed later during image processing. Two and a half hours after launching the balloon into clear skies, we recovered the camera payload, a mere 9km from the launch site. Both cameras survived the flight so we’ve been able to make a comparison of their performance. Battery. Both cameras underperformed on battery life in comparison to their manufacturer’s quoted performance data. The VIRB XE lasted 85 minutes of the 120 minutes quoted by the manufacturer; or 70 % of the forecast run time. The Go Pro Hero 4, with the advantage of a battery bacpac lasted for 2 hours 16 minutes of the 3hours and 56 minutes forecast by the camera. This was only a 56% of the forecast run time. Both cameras were insulated on the side and rear by the payload. The performance of the VIRB XE on the balloon flight is very consistent with tests done at home while the performance of the Go Pro Hero 4 is very much consistent with other flights using it and is not a reflection of the battery bacpac performance. We did run a few tests in which we added an off the shelf battery bacpac to the VIRB XE and got it to last up to 150 minutes, though the last file was found to be corrupt. Icing on the lens. Both cameras stay ice free until around 10,000m above the ground. After this the Garmin VIRB develops a small spot of condensation (which could be ice) but the Go Pro Hero 4 remains condensation free. We saw this in the earlier VIRB model and it can be a distraction, especially when the camera looks straight at the sun. Image quality. The acid test for the VIRB XE and the Go Pro Hero 4 is the image quality. 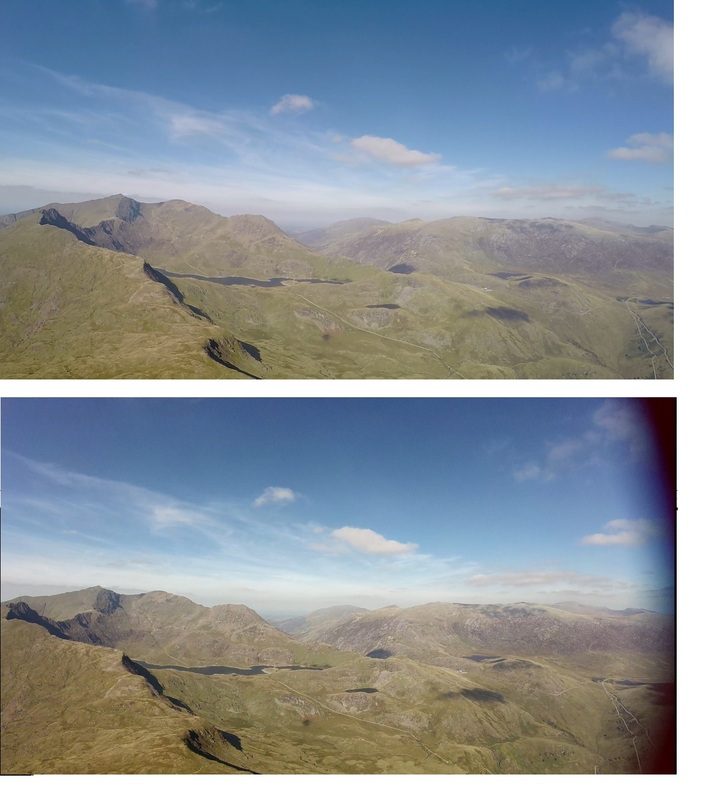 I sourced 3 images from each camera at the start of the flight and towards the cameras highest point. Comparing the two sets of footage I was able to isolate frames at 4 seconds into the flight and 96 m.a.s.l. in height (image 1). Image 2 is 2 minutes 34 seconds into flight or 264 m.a.s.l. Finally image 3 is 64 minutes into flight and at 17700 m.a.s.l. 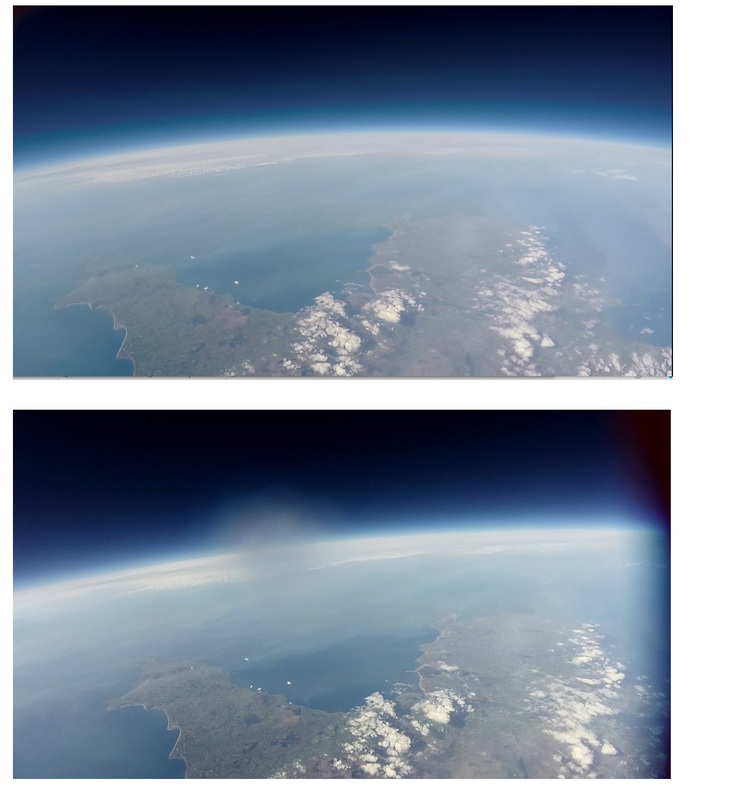 The top image is from the Go Pro Hero 4 and the bottom image is from the Garmin VIRB XE in all cases. 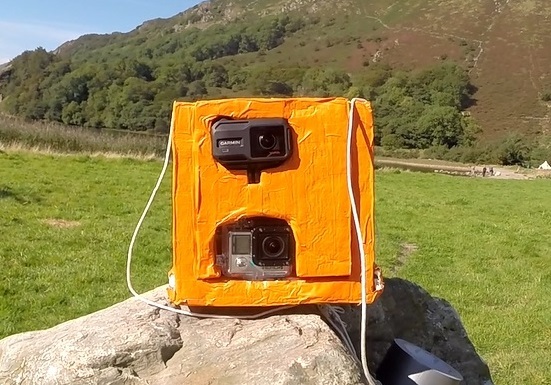 In image 1 both cameras have good depth of colour in the sky and grass though they are more pronounced in the Go Pro Hero4.There is however nothing between the images on sharpness. In both cameras there is good definition in the foreground and background. At this height the ‘fish eye effect is clear on both cameras though the distortion levels are not excessive. Again in image 2 there is little difference in the depth of colour for both images with, in this case, the VIRB XE having the edge. 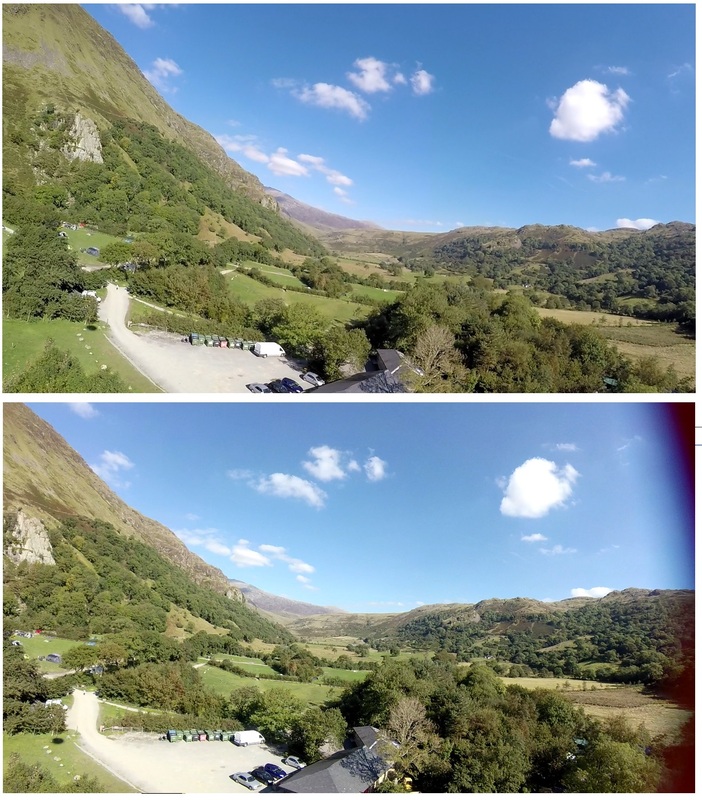 Similarly there is little difference in the sharpness of both images though the VIRB XE has the edge over the Go Pro Hero 4 in the clarity of the clouds. Interestingly both cameras have lost the fish eye effect at this altitude with little distortion apparent. Finally there is image 3. Again both cameras have a similar depth of colour though the blue of the sea in the VIRB XE picture has the edge on the Go Pro Hero4. Both images are sharper in different places. The VIRB XE appears to be sharper in the foreground showing the coast. 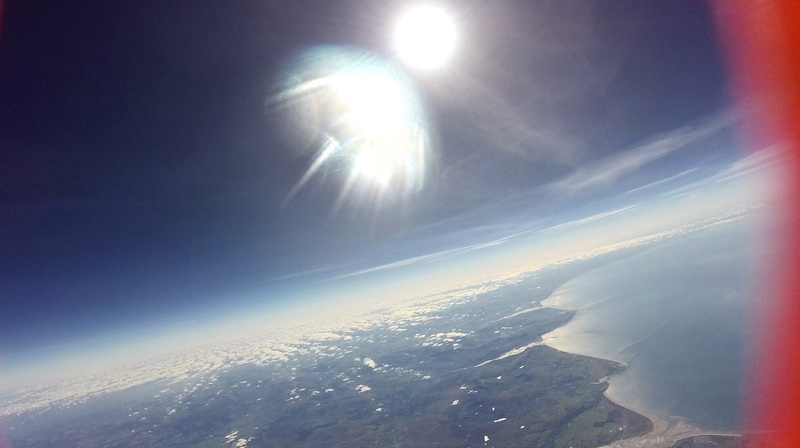 The Go Pro Hero 4 appears to show the clouds on the Earth’s horizon noticeably sharper. At this height, approximately 17km, the fish eye effect is slightly less pronounced on the VIRB XE than the Go Pro Hero 4. GPS performance. The GPS on the Garmin VIRB XE camera performed well and there is a high degree of similarity between the GPS file created by the I Got U data logger and the camera. Unfortunately the camera shut down around 17km so we could not test the maximum altitude that it would log height and record latitude / longitude. Weight. 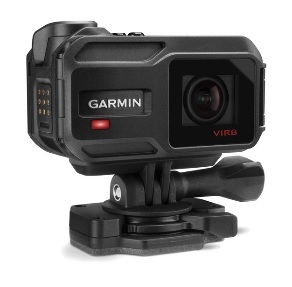 Comparing like for like, the Garmin VIRB, at 152gm is lighter than the Go Pro Hero 4 within it’s camera case. This comes in at 172gm and 192gm when the battery bacpac is included. 20 gm is a small difference and relatively insignificant to a 1000 to 1300gm balloon payload. Ergonomics. Both cameras are simple to use but the single switch activation to start video recording on the Garmin VIRB XE is a nice feature. It also seems that it would be harder to accidentally turn of recording than in the case of the Hero 4 (out of it’s protective case). The new VIRB XE’s shape is a great improvement on the original VIRB with it’s elongate shape. This was awkward to mount in a payload box. Both cameras hive light to indicate they are recording and this helps when a camera has been sealed away in a payload box. For the VIRB it also negates the need to have the lcd display on the front exterior of the camera. From our point of view we see the VIRB XE is a clear improvement on the first generation VIRB. 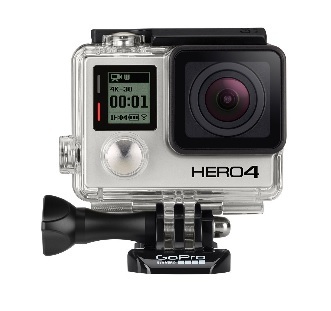 It also easily competes with the Go Pro Hero 4 in terms of image quality. There are clear advantages to the VIRB XE, the most significant of which is the GPS data feed and the cool overlays that can be put against the video. 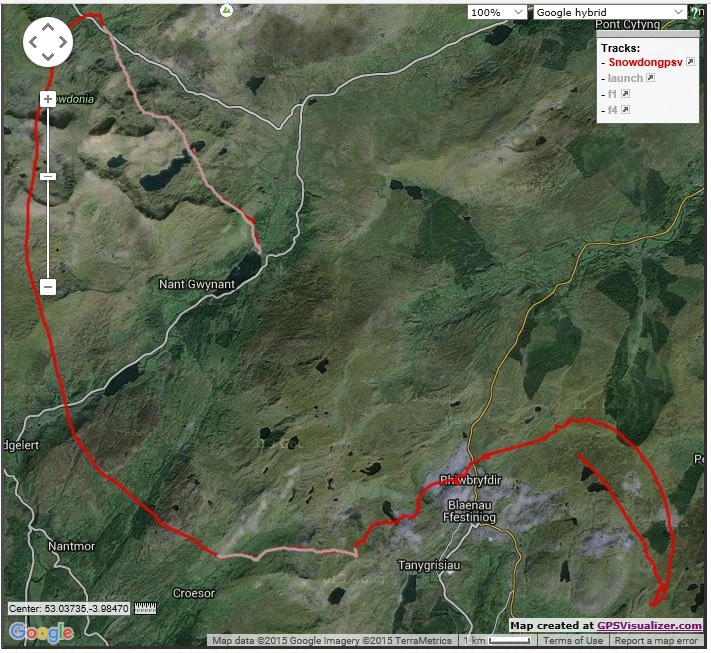 We would like to see how the GPS performs at higher altitudes though. There are also clear drawbacks in terms of the lens cover and lack of compatible battery bacpacs to extend the camera life over the entire flight. Clearly though this camera can be used to capture high altitude balloon flights and offers neat features that Go Pro Hero cameras do not.